Condor Technologies is looking for a dental technician with a background in digital dentistry to provide CAD/CAM and dental technical advice to our distributors and their clients worldwide. While you will be traveling frequently, your office will be in Ghent, Belgium. As a member of our customer success team, you will help dentists become successful at digital dentistry. 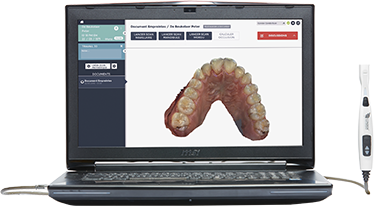 From presenting the advantages of Condor to helping distributors integrate their solutions, you are dental technician who makes sure every single Condor user is a successful digital dentist. You are a dental technician with a degree of an accredited dental laboratory program. You are extremely knowledgable about CAD/CAM dentistry and its advantages. Your enthusiasm about digital dentistry is contagious. You enjoy presenting to groups and have the ability to think commercially. You speak fluent English and at least one of the following languages: French, German, Spanish, Portuguese, Chinese, Japanese, Arabic, Italian, Russian, Polish, Swedish, Danish, Norwegian, Dutch or Korean. A challenging opportunity within your industry, but outside of the lab.